Over 90 participants amongst which EU clusters, European industrial federations, Iranian counterparts and high-level speakers made the EU-IRAN Cluster Cooperation Event in Tehran, Iran, on 17-18 October 2016 an important step forward in building mutually beneficial cooperation! 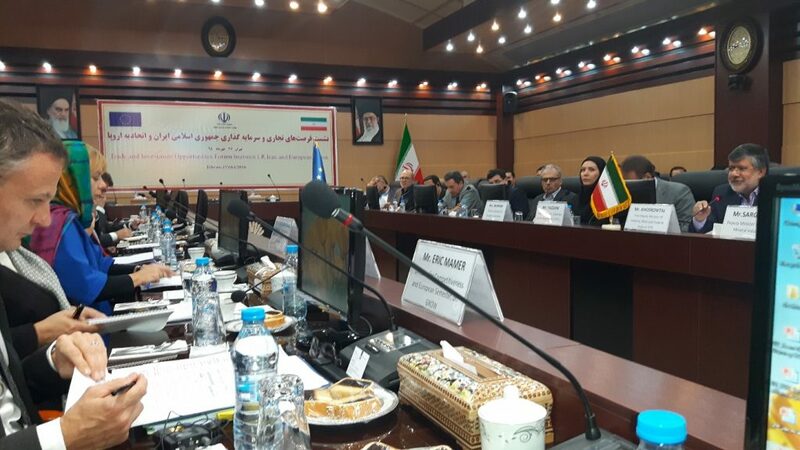 The EU-IRAN Cluster Cooperation Matchmaking Event took place within the context of the EU Economic Mission led by Commissioner Bienkowska in Tehran on 17-18 October 2016. The event was organised by the European Commission, DG Internal Market, Industry, Entrepreneurship and SMEs (DG GROWTH), in close co-operation with the European External Action Service (EEAS) and facilitated by the European Cluster Collaboration Platform (ECCP). During this mission, there were representatives from 14 European clusters and about 10 European industrial federations covering several key sectors of common interest (incl. biotech, automotive, raw materials, tourism, textile,construction and greentech). They had the opportunity to meet each other in Iran, and benefit from on-the-ground knowledge via several sectoral site visits organised by six EU Member States’ embassies in Tehran. This reinforced the partnership between the Commission, Member States and EU business organisations. The first day started with a morning session introduced by Commissioner Bienkowska with the representatives of European industrial federations and industrial & innovation clusters. While mentioning existing obstacles to the development of a fruitful cooperation with Iran, the Commissioner Bienkowska insisted on the motivation of both sides building a cooperation with mutual benefits. The participants also benefited from the experience of two experts: Mr Daniel Gottschald, who provided some valuable advices on market and cooperation perspectives building upon his concrete experience with Iranian partners of the Kerman province and Mr Eric Ligthart, from the Embassy of the Netherlands, who described the current financial obstacles to the development of the commercial relations with Iran. In the afternoon the conference on Economic, Industrial and Investment Opportunities at the Trade and Promotion Organisation (TPO) took place. It was opened by the Minister Nematzadeh, Minister of Trade, Industry and Mines and co-chaired with the Commissioner Bienkowska. 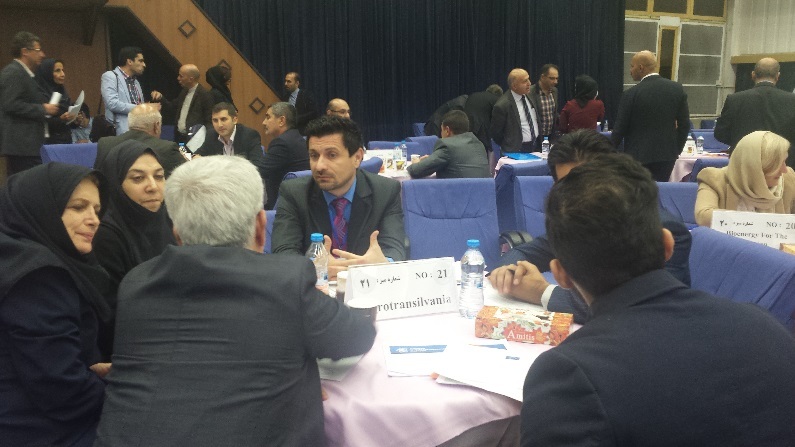 Both the representatives of Iranian and EU associations of industries and clusters participated. This event also launched the EU-Iran regulatory and industrial policy dialogue with the intervention from Mr Eric Mamer,Director for Competitiveness and European Semester of DG GROWTH of the European Commission, who explained that this dialogue aims at improving the business environment to facilitate further economic exchanges in mutual interest. After the conference, the Cluster cooperation matchmaking event was initiated. It allowed all the European clusters and the representatives of industrial sectors to meet an sizeable Iranian delegation. A lot of bilateral exploratory meetings took place and the general opinion of European clusters representatives was that there is a strong interest from Iranian side for European investments, joint ventures, both technological and commercial, and cooperation with European clusters and companies. Some initial promising contacts should be noted and which could lead, after a proactive follow-up, to an effective cooperation with the Iranian private sector. Furthermore, a meeting took place between the representatives of the Commission, ECCP team and the Iranian Small Industries & Industrial Parks Organization (ISIPO) (www.isipo.ir) which is affiliated to the Ministry of Industry, Mine and Trade. This fruitful meeting showed that there is a significant potential of cooperation between the ECCP Platform and ISIPO to build partnerships with the Iranian business clusters and industrial parks in mutual interest. The visit of the PARDIS Technology Park (www.techpark.ir), which is considered as the most pioneering technology park in Iran, also demonstrated that there is a potential for cooperation with Iranian start-ups in high tech industries, including biotech, ICT and Nano tech.